Spence VS Cussler: Who Found the Hunley? August 3, 2016. I just came into information today that leads me to believe that some of this information in this one article might be incorrect. I have a mountain of research to do on this and will let you know the end results and will make corrections to this article if the results of my research warrant it. Thank you for you patience and understanding. The controversy over who found the Hunley has gone on for almost two decades. Both men have many supporters who have continued the arguments and added some of their own. Many of these arguments treat opinion as evidence and fact, and attempt to attribute causes of the combatant’s opinion to actions of the opponent. To sort out all of the claims and counter claims could take years of research, and some would never be satisfactorily resolved because they are based in partisan opinion. So, where do we start? The August 23, 2008, article in the Charleston Post and Courier by Brad Nettles concisely states each side’s case in an unbiased fashion, and gives us our starting point (this is the link to Brad’s article http://www.postandcourier.com/article/20080823/PC1602/308239956 ). The article was written at the time Cussler dropped his lawsuit against Spence. Since the US Navy, the National Park Service, and the Hunley Commission all credit Clive Cussler as the founder of the Hunley (see the article), Dr. Spence is in the role of the challenger. This is a good place to start. We could start with the appeals Dr. Spence has filed with the Hunley commission over his discovery, but we will go back to Dr. Spence’s discovery in 1970 instead. 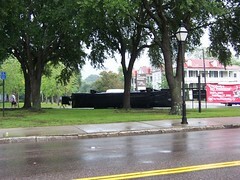 We will also cover the claim of ownership of the Hunley by Dr. Spence. This will be enough to settle the matter. However, we will also address some of the opinions of the controversy. An area I do not normally go into, in the case of the Hunley I find it unavoidable, as opinion has begun to overshadow fact in some areas of the controversy. One more important point before we begin an analysis of the evidence; Mr. Cussler and Dr. Spence work in two very different worlds. Doctor Edward Lee Spence is an academic. Spence’s discoveries and underwater archeological work is funded by universities, foundations, and governments. Universities, foundations, and governments that receive their funding from donations and tax dollars. Dr. Spence does not have to show a profit. However, to be successful and recognized in the academic world, his work needs follow the standards of, and be acceptable to the academic world. 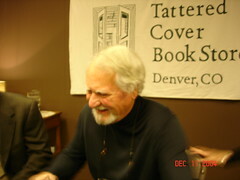 Clive Cussler on the other hand works within the commercial world. Clive Cussler is a novelist, and before that, he worked in advertising. Mr. Cussler’s work in underwater discovery is his hobby. I say hobby because it is his passion and not his job. To say his work in this field is a hobby does not undermine his contributions to the field. Clive Cussler has been awarded an honorary doctor’s degree for his work in discovering underwater wrecks. Cussler makes his living in the public, first in advertising and then as a writer. Cussler uses profits from his novels to pay for his underwater explorations. Cussler’s background also insures that he understands the importance of public relations and marketing can have on income and recognition (which also impacts income). Cussler uses his position as a bestselling author to help his searches for underwater wrecks. He also uses his discoveries of underwater wrecks for public attention, which helps to promote his books. In the business world, this is smart, killing two birds with one stone. In the academic world, this is frowned upon and considered vulgar by some. In the commercial world of advertising and writing, this is just part of another day’s work. Just like Angus Smith in 1876, Dr. Spence said he found the Hunley, but gave us no proof other than the position where he claimed the Hunley rested on the harbor bottom. Dr. Spence provided no photographs or artifacts from the Hunley. Dr. Spence has people willing to testify he found the Hunley just as Angus Smith did (but PT Barnum never paid Smith the reward), in the academic world a good article in a peer-reviewed magazine is enough to seal a legacy. Outside the academic world, you need to follow accepted procedures recognized by the public and international judicial system. A good example is the RMS Titanic. Does anyone in the world doubt that Dr. Robert Ballard found the Titanic? No. Why? Because Dr. Ballard brought back photographs from his discovery. 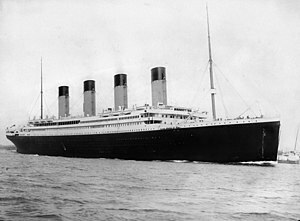 However, RMS Titanic Incorporated owns the Titanic because they were the first to bring an artifact in front of a federal judge and claim ownership of the Titanic. Unlike Dr. Spence, Dr. Ballard kept the location of the Titanic secret from everyone not just the public. Dr. Ballard was afraid that treasure hunters would remove artifacts from the Titanic if he made the location public. 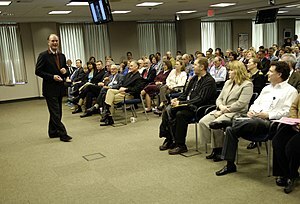 Dr. Ballard’s one regret is that he did not bring back an artifact from the Titanic (see Dr. Ballard talk about this himself at this link http://youtu.be/mPSzZKTN2G0) and claim the Titanic himself. Outside the academic world to claim ownership of a wreck (historic or a fishing boat lost last week) you remove an artifact from the wreck and report to the nearest admiralty court (federal court in the United States). In an admiralty court an archeological dig on an historic sunken ship is treated no different than a salvage operation on a modern ship lost last week. If the ship is considered abandoned (which usually means the insurance company paid the claim and wrote off the wreck as a loss on its financial books), you declare to the judge the position of the wreck you claim and present the artifact as evidence. The judge then gives you ownership of the wreck. Dr. Ballard did not have any artifacts from the Titanic and could not claim ownership, which would prevent other people from being able to remove artifacts. Dr. Spence, on several of his web sites, repeatedly points out that he filed a claim for ownership of the Hunley in federal court. He goes on to state that since no one spoke out against his claim this means he owns the Hunley. What Dr. Spence does not mention is that his claim of ownership in federal court was dismissed by the judge. In the academic world, if no one disputes your claims, and you are a respected academic (which Dr. Spence is) your claims are accepted. In admiralty court, you need hard evidence to support your claims, which Dr. Spence does not have, and so the judge dismissed his claim of ownership. In the world of treasure hunting, the race to the nearest admiralty court can resemble a race scene from a Three Stooge’s movie. The first person in federal court with an artifact is awarded ownership of the wreck. When the SS Central America was found, a helicopter was waiting to fly an artifact to the federal court in Norfolk. Good thing, as several rival treasure hunting groups were following the searchers hoping to get to a federal court first so they could claim the SS Central America. Dr. Spence also filed a lawsuit claiming he found the SS Central America, which was again dismissed by the court (Dr. Spence never tried to claim ownership of the SS Central America, only that he found it). Dr. Spence seems to have had many of his lawsuits dismissed by federal judges. 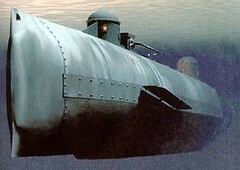 Who owns the Hunley is a complicated matter better suited to courts than web sites, but here goes. If the Hunley was owned by the confederate government, then at the end of the Civil War it became United States government property under the jurisdiction of the GSA (General Services Administration). 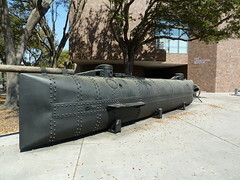 If the Hunley was private property, in 1970, (when Dr. Spence claims finding the Hunley) the first person in front of a judge with an artifact from the Hunley can claim and be awarded ownership by the court. In 1995, when Clive Cussler found the Hunley the Abandoned Shipwrecks Act of 1988 had already been passed which gives ownership of historic wrecks to the state in who’s waters the wreck is located. Seems simple, but this is where it gets complicated. 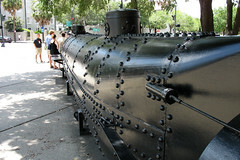 A group of men who intended to use the Hunley as a privateer built the Hunley. They never intended to sell or give the Hunley to the Confederate government. A privateer, as I explained in an earlier article in this series, is a privately owned ship that is given a letter from a government to attack ships of a country it is at war with. Ok, fine, so if Cussler found the Hunley then South Carolina owns the Hunley. However, General Beauregard confiscated the Hunley after the second sinking and gave it to the Confederate Navy. Therefore, that means it was Confederate property and became United States property at the end of the war, and is under the control of the GSA. But, Captain Dixon persuaded General Beauregard to give the submarine back to the original owners, and the submarine was under the control of the original owners when it sank. Back to South Carolina right? Maybe. General Beauregard gave the submarine back to the original owners, but it is unclear whether he returned ownership or only gave them operational control of the submarine. As I said, ownership is complicated. Fortunately, the GSA turned over any interest in the Hunley to the United States Navy, which then donated the Submarine to South Carolina. So, in the end whoever had rights to the Hunley, South Carolina or the United States, it still ended up in possession of South Carolina legally. No matter who could claim rights to the Hunley, Dr. Spence did not present artifacts to a federal judge with his claim of ownership and his case was dismissed by the judge. So, whoever had rights it was not Dr. Spence and he should have known this. If Dr. Spence did know this, then his claim of ownership is a publicity stunt to bolster his discovery claims. Dr. Spence claimed that Cussler’s first public location was intentionally wrong to discredit his claim to be the one who found the Hunley. Cussler claims it was to protect the wreck from treasure hunters. Considering that after Cussler’s announcement the Hunley was found, hundreds of thousands of dollars were offered on the black market for parts of the Hunley, anything from the diving planes and the propeller to portholes; this makes Cussler’s claim sensible. Had the treasure hunters located the Hunley, parts of the submarine would have disappeared into private anonymous collections never to be seen again; something that has happened too many times with other shipwrecks, particularly since the passing of the Abandoned Shipwreck Act of 1988. Which is ironic since the politicians thought they were protecting shipwrecks with the act, which just goes to show that only honest men obey laws. By removing legitimate salvors and treasure hunters from the competition, that leaves only the thieves and archeologists, and the thieves have better funding. The archeologists would have been better off getting congress to pass a law requiring archeologists on every treasure hunt or salvage. Some of the treasure hunters and salvors would have complained at first. However, with cooperation between academia and their commercial counterparts the treasure hunters and salvors would have soon found out that an archeologists could be of great assistance to them in their work. On the academic side, they would be able to collect more information working with treasure hunters and salvors than they would ever be able to get funding for through their normal channels. Mel Fisher, on his own in the 1960’s, was the first to realize the value of having a good archeologists on a treasure hunt. Unfortunately no one in the commercial, political, or academic world seems to have learned that lesson from Mr. Fisher. Political? Yes, Political. 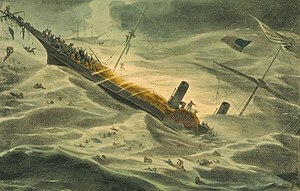 Politicians believe that it is not fair that salvors and treasure hunters should be able to make money from shipwrecks. The politicians think that objects of value are just laying around on top of the ocean floor, for someone to dive down and pick up, even though it took Mel Fisher two decades to find the wreck of the Atocha. The politicians want the state to get the money, in other words they want to be the ones who get to spend that money. Seem unbelievable? The state of Florida was so upset that Mel Fisher was finding millions “just laying on the sea floor” that they tried to defeat Mel Fisher in court and take everything he was finding. When the courts (following salvage law) sided with Mr. Fisher, Florida created a new department in the Florida state government that was tasked with finding and recovering treasure from the sea floor. It did not take long for the state of Florida to realize that not only can it be hard to find wrecks, but also treasure hunters often spend more money to find the treasure than they recover from the wrecks. Florida quickly closed its new department and got out of the treasure hunting business. Florida’s lesson has not distilled the disdain academics and politicians have for amateurs and professionals (despite the fact that amateurs have made so many discoveries in so many fields see my articles on my research methods). One of Dr. Spence’s articles on his blog starts off in big bold letters (this is a direct quote) “Comment by Dr. E. Lee Spence on Dr. Clive E. Cussler and his Alleged Discoveries. For Heaven’s Sake, Cussler Writes Fiction For a Living!” Dr. Newell, the academic who replaced Dr. Albright at the University of South Carolina also seems to have considerable disdain for non-academics. While researching this series I found several different articles which claimed to quote Dr. Newell. I discovered that the quotes claimed anything from — a joint expedition with NUMA — to a SCIAA (University of South Carolina’s Institute of Archaeology and Anthropology) expedition to confirm Dr. Spence’s claim paid for in part by NUMA, during which Cussler was not even present (they seem to ignore the fact that the 1995 discovery followed the 1980, 81, and 94 searches). I went back and looked at these claims chronologically and realized that the first claims seem to match Cussler’s, but as time goes on the claims seem to change lessening Cussler’s involvement in the hunt for the Hunley. There are two other things I noticed concerning Dr. Newell’s and Dr. Spence’s claims concerning NUMA and Clive Cussler. 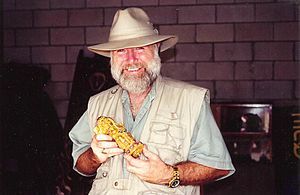 First, when Dr. Newell’s statements about the joint expedition are examined and compared with past expeditions of NUMA and Cussler the claim is inconsistent with Cussler and NUMA’s past expeditions. The claims are also inconsistent with the 1980 and 1981 searches for the Hunley (under Dr. Albright, Dr. Newell’s predecessor) and the 1994 search for the Hunley when Dr. Newell was already heading SCIAA . Second, Dr. Spence also claims that Ralph Willbanks had a copy of his just released book (which gave Dr. Spence’s location of the Hunley) with him on the search boat when Ralph found the Hunley. Here is the problem with that statement. The book in question is Treasures of the Confederate Coast: The “Real Rhett Butler” & Other Revelations by Edward Lee Spence published January 1995. 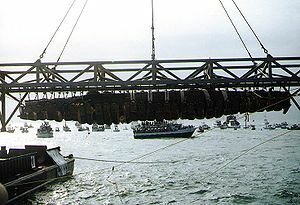 The Hunley was found by Ralph Willbanks on 3 May 1995. So from the end of January to the beginning of May, basically February, March, & April, three months. The publish date is when the book goes to the printers. Publishing, with all the high tech advantages including the internet, is faster today than it was in 1995. When I am planning my publish date for a new book of mine I start with the date I would like my book to be available with online retailers and count back five to six months. That earlier date is the deadline for when I need to have my book with my distributors (e-books are much quicker). I also know that from the time I up load my book to my distributor to the earliest date I can get the first copies for myself is ten to twelve weeks. So, you can see the time problem with Dr. Spence’s claim, that a book published in January 1995 was hand delivered by him to Ralph Willbanks before Ralph discovered the Hunley on May 3, 1995. It would be difficult for me to have a book published in January of 2012 and hand deliver copies to someone by 3 May 2012, even with the advancements that have taken place in book publishing since 1995. Though it may be possible (I believe more likely) that Dr. Spence gave Ralph copies of his newly published book shortly after Ralph found the Hunley. If Dr. Spence would have brought back with him an artifact from the Hunley, then if he had taken that artifact into a federal court to claim ownership of the wreck, there would be no controversy surrounding who found the Hunley. Also, Clive Cussler would not have spent $130,000 looking for the Hunley in 1980, 1981, 1994, and 1995. Mr. Cussler would also not have had to have spent hundreds of thousands of dollars on a seven year court battle with Dr. Spence. Did Dr. Spence find the Hunley? I do not know. I do know that Dr. Spence believes he found the Hunley. I also know that Clive Cussler did not know where the Hunley was when he started his search. Clive Cussler’s men brought back photographs and video. Also, by looking at his past work, if Cussler had been given the location to the Hunley he would have dove on the sub and listed it under “wrecks surveyed” and not under “wrecks discovered” at the NUMA website and in his non-fiction book’s index. There is more I could write about, such as Dr. Spence’s faith in the accuracy of navigational charts; a faith that based on my at sea use of navigational charts I do not share (nor do the men of the USS San Francisco, as well as other ships). However, I believe these 3200 words give the reader enough information to come to an independent conclusion to determine for themselves if it was Cussler, Dr. Spence or both men who found the Hunley. To learn more about the discovery of the H.L. Hunley by Clive Cussler we recommend The Sea Hunters, by Clive Cussler and Craig Dirgo. To learn more about Dr. Lee Spence’s discovery of the H.L. Hunley we recommend Treasures of the Confederate Coast: The ‘Real Rhett Butler’ and Other Revelations by Edward Lee Spence. 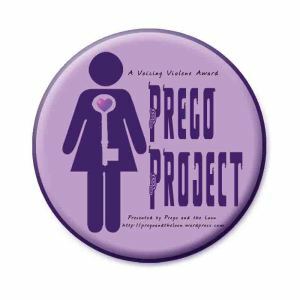 This last article has been very hard for me. I won’t shy away from an argument, but I also do not like to go in amongst the combatants in heated, emotional, fights. 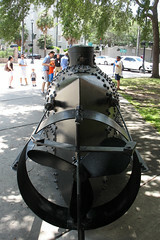 Who found the Hunley is certainly a heated, emotional, fight. However, emotions have gotten to the point where it seems to be the overriding force in the arguments concerning who found the Hunley. That being the case, this is one topic where I felt I have to go into the forray. At the end though, I hope you will have enjoyed my series on the Hunley, learned something new, and be able to decide for yourself who deserves credit for what. The last part is particularly difficult. Good luck. Next week I will be working on another “Cup-O-Joe” article for 2 September. 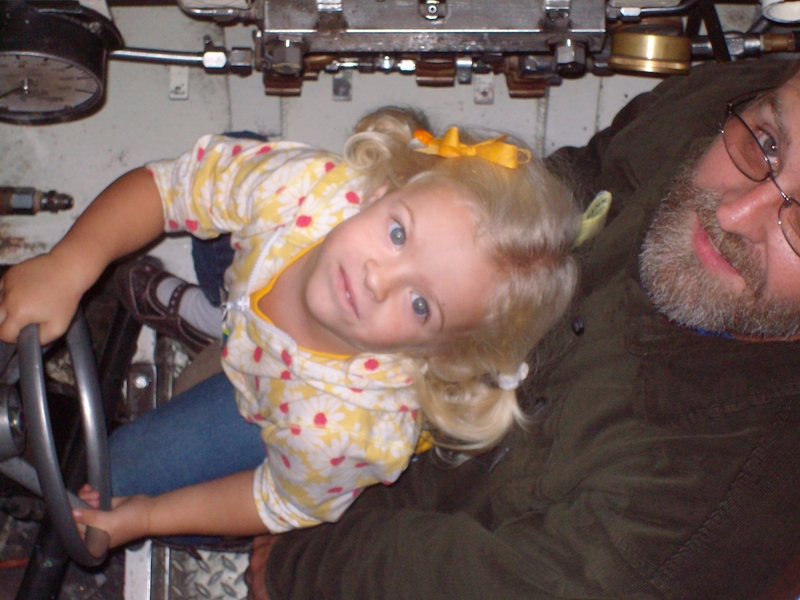 All of this research on small submarines got me to thinking about photos of my daughter and me in small submarines. When she said she wanted to be a submariner when she got bigger that made me worry (she still says this). I hope you enjoy my article on our other small submarine, Dr. E. Lee Spence’s Hunley. This week’s article will be published tonight at midnight New York time. The last article in the Hunley series will be next weekend, Spence VS Cussler: Who Found the Hunley?